I haven't touched any culture for a few weeks because I didn't try to make time. Such living is bad and miserable, then I borrowed some films. Reading books needs positiveness but I can be passive while watching movies. So films are nice for me when I'm busy or tired. Whisper of the heart / Follow me / Ghost in the shell How random they are! 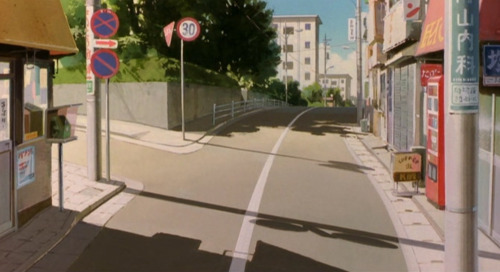 Whisper of the heart was touching. I felt kind of something pain. How young students are bright! And then I felt disappointed with myself. haha I thought I tried to be a girl reader, but I found that I wasn't girl anymore. I've felt my sensitiveness has been dying year by year. Anyway small love in library is adorable. Mia Farrow in Follow me was so pretty and I enjoyed London scenes. Oh that photo of Mia Farrow isn't in Follow me. Sorry. Motoko in Ghost in the shell was super cool.